Jeremy Clarkson’s unjustifiably overinflated ego has been spewing a putrid racist smog which has caused the vast majority of the UK to miss out on the rare solar eclipse phenomenon this morning. The unique and wondrous marvel of the solar eclipse, which gives all people an opportunity to reflect on the beauty of our solar system and the relative insignificance of human presence on this planet, was overshadowed by an egotistical bigot’s love of himself and the plumes of smog from the unnecessarily powerful cars he endorses. “I couldn’t enjoy that kind of thing knowing that JC isn’t on Top Gear any-more.” Commented Top Gear fan and white middle class business owner, Julian Smith. 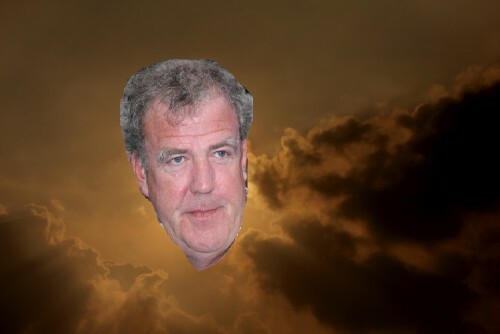 It is reported by the National Weather Authority that Clarkson’s recent rant against the BBC at a charity dinner for rich white folk, supposedly focused on helping disadvantaged youths, caused the fatal blend of hypocritically ironic smog which blocked the eclipse. Everyone knows that Clarkson believes disadvantaged youths should be locked up without remorse.